Cycle on bike paths in the river valleys of the Inn and Adige rivers on this self-guided holiday from Innsbruck to Bolzano. 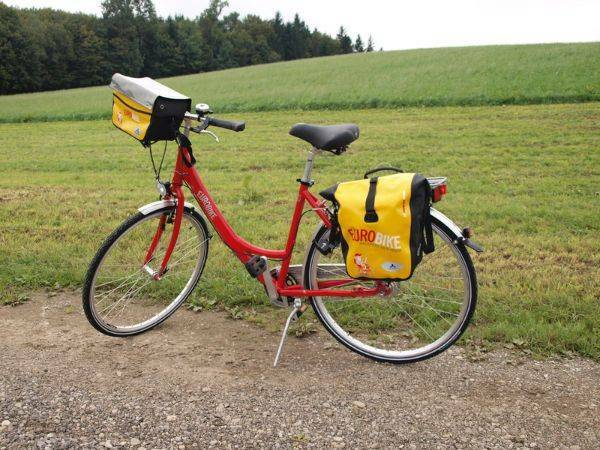 This is a superb tour that combines scenic routes with rewarding cycling, and as buses are used for the climbs, the tour is suitable for most levels. 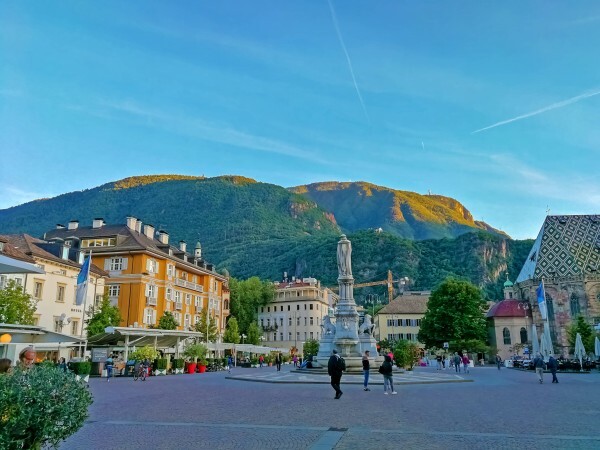 Enjoy a meandering route through orchards, vineyards and pretty towns, and past fortresses, castles and ruins before ending your tour in the town of Bolzano with its fascinating arcades and museum. 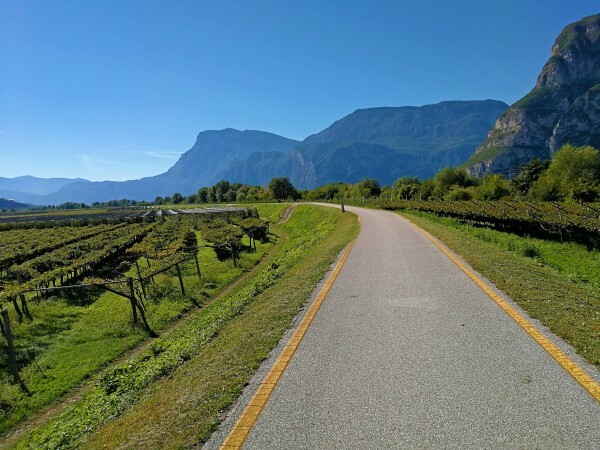 Today’s stage will take you via Lana (Schnatterpeck Altar) and through numerous orchards and vineyards in the area of the South Tyrolean Wine Road, past many fortresses, castles, and ruins such as Hocheppan (famous frescos), to Lake Kalterer See. You usually stay in the cosy wine town, Auer. Wouldn’t it be wonderful to add a couple of days to your holidays? 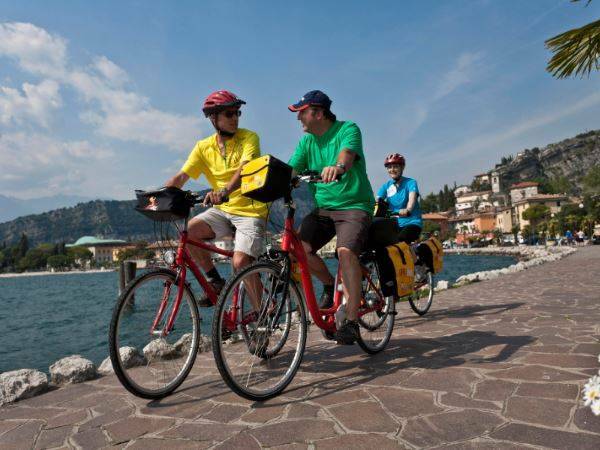 You have the possibility to combine this tour with another one to Venice or Verona. Innsbruck - Imst 65 km The route starts off flat going along the River Inn. From the 50km mark, you should expect some short climbs. From the 50km point you can take the train from Ötztalstation if you prefer. Organisation: We recommend starting by 9am. 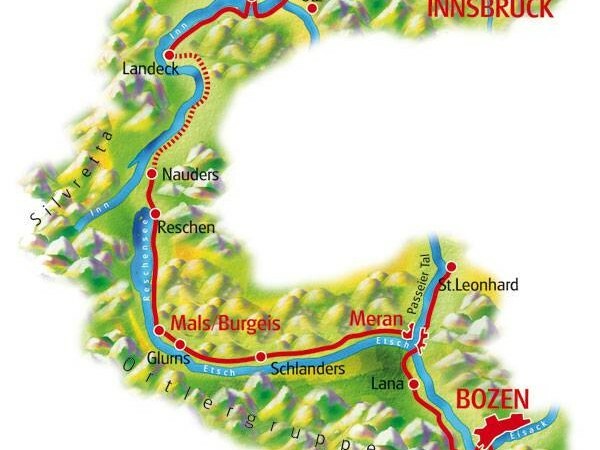 Bus transfer to Reschenpass from Landeck (23.5km) to Nauders takes approx. 70 min. 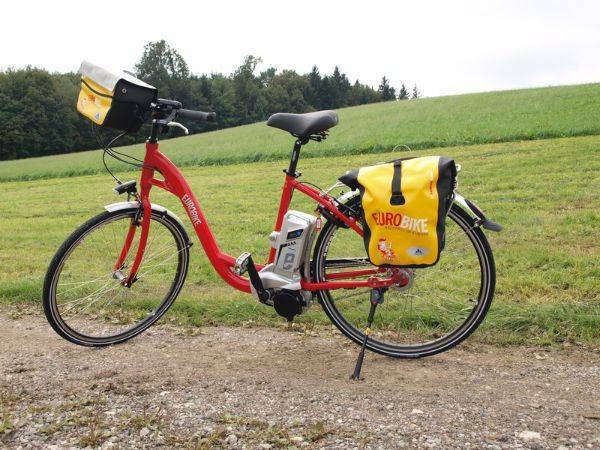 From 11:50am your tour representative will be at Landeck train station. The bikes need to be loaded onto the trailer. Be there by 11:55 at the latest. Departure time is 12:12 (bus number 4218 to Nauders). Any changes to this will be announced at the welcome briefing. Burgeis/Mals - Merano 65 km Today is mainly downhill (700m altitude difference). You can shorten this stage by using the Vinschgau train. 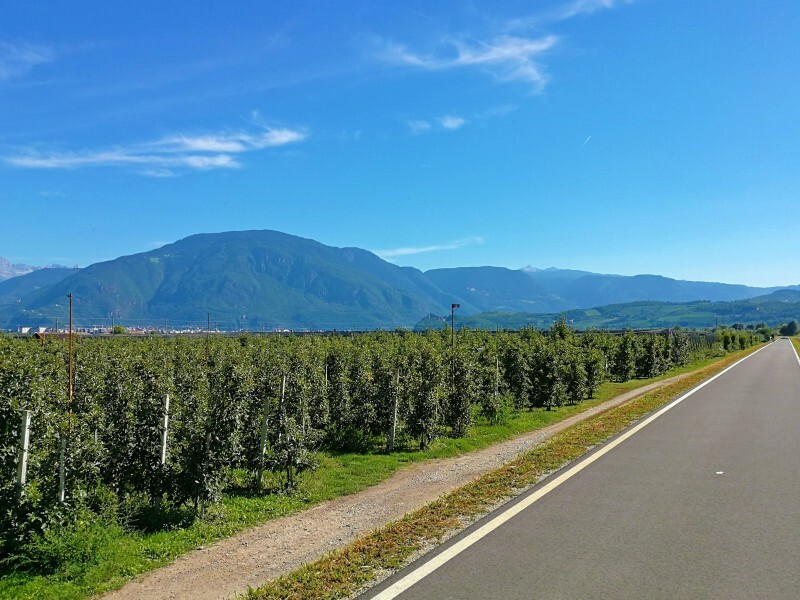 Excursion Passeier Valley 40 km Today you travel along a cycle path following the Passer River through the orchards to St. Leonhard and return the same way to Merano. 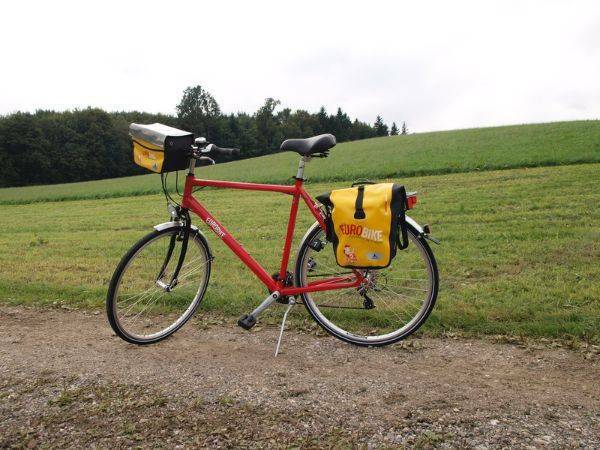 Large parts of today’s stage are on easy to cycle on gravel paths. 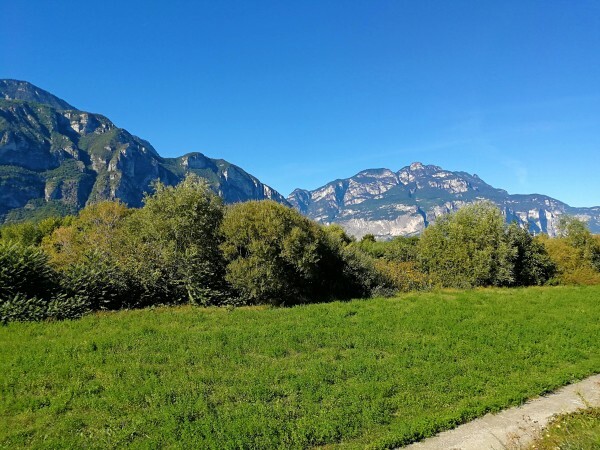 Merano – Auer 50 km There is a climb between km 35.0 and km 41.0. Between km 27 and km 35 the route description doesn‘t match with the map. Please follow the official cycle path signs. Auer – Bolzano 35 km Two options to Bolzano: Along the Adige dam (approx. 25km) or via the Montiggler lakes (approx. 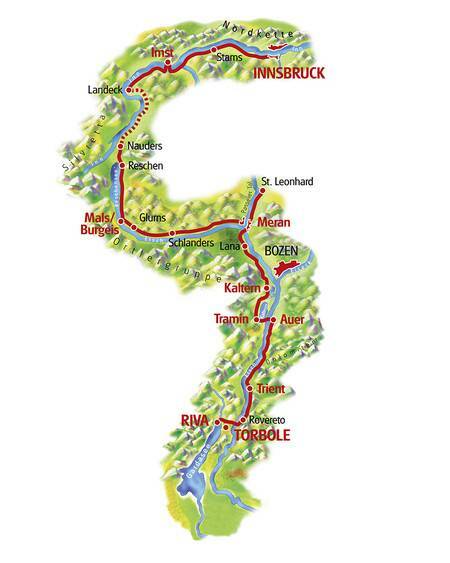 30km), this is the more demanding (several climbs) but also more beautiful route. 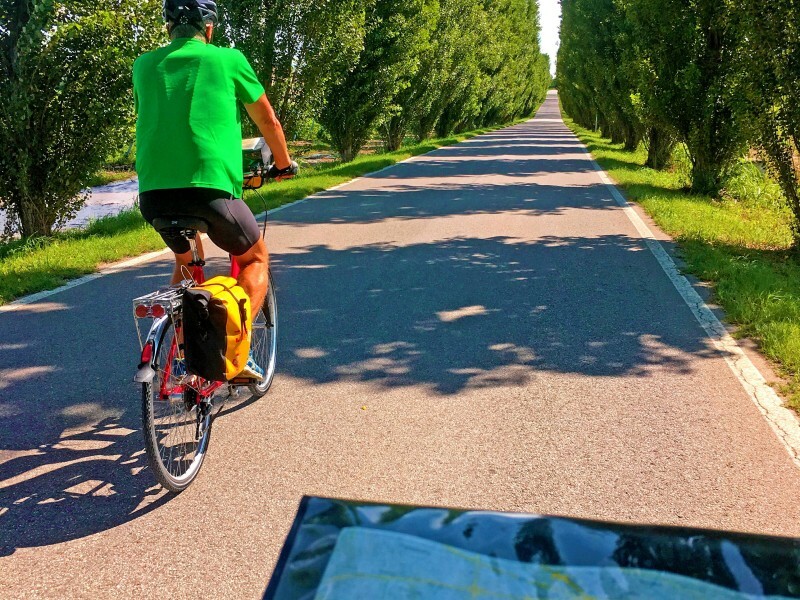 We recommend flying to Innsbruck airport to reach the starting point of this cycling holiday. The Innsbruck to Bolzano cycling holiday includes the daily transfer of luggage to the next hotel and local support if required.